Real estate tax law and its related enforcement are dynamic and often contentious subjects for property owners and government entities alike. What is a fair tax assessment of a particular property? The answer is a combination of assessment formulas, changing case law and a number of key variables. Huntington Bailey is experienced at investigating all of these factors and navigating the tax appeal process from end to end. Experienced Representation. Our attorneys are tax appeal experts, experienced in a wide variety of jurisdictions. This ensures our team is fully informed of current statutes, recent case law, local trends and more. Record & Evidence Review. Tax records are a treasure trove of valuable information-if you know where to look for it. Our team knows what documentation is key to success, and where to find it. Market Evaluation. 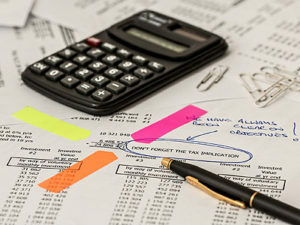 Market data and current conditions are important factors in tax assessment and dispute. Our team will work to bring together the data that’s critical to a successful appeal. Expert Resources. Our firm has a long-tenured practice of successful tax appeal representation. With that comes a roster of proven experts we can bring to bear on a client’s behalf. Real estate tax law is dynamic in nature, constantly moving and evolving. A successful appeal, whether residential or commercial, depends on having counsel that knows the landscape. Huntington Bailey delivers both time-tested expertise and current market knowledge in a powerful combination for our clients.